The Light Snowglobe that mysteriously appeared in your mailbox is meant to be used on your team for a solo clear of Ana Descended over the course of the weekend. There are many different ways to approach this challenge and thankfully, it was significantly eaiser than Liberty Geist so newer players should have more wiggle room for error. Just note you must complete the dungeon with a Blanc Snowglobe on your team before Sunday on any difficulty in solo mode. Ana Descended is a relatively easy dungeon and has many different avenues for a successful completion. I could have easily used a tank or heart cross leader (which I did on Fantastic), but instead, I decided to use a more old-school strategy that focused on using gravities to bypass the 50% resolve. Outside of the 50% resolve, Ana Descended has no dangerous mechanics and offers numerous floors for stalling. 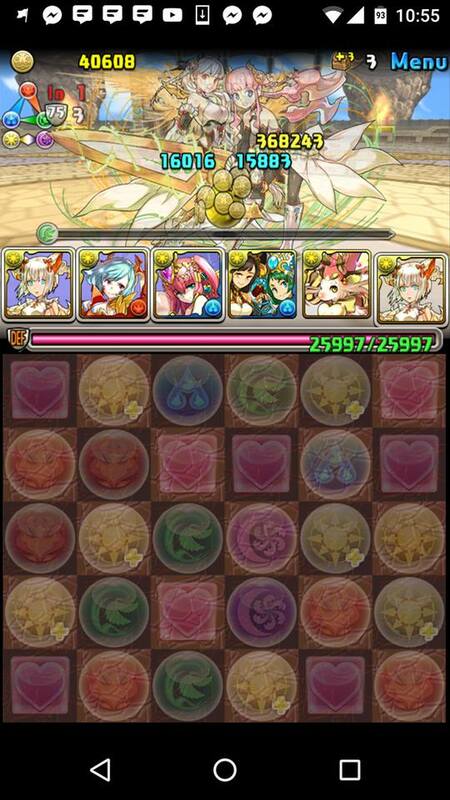 This meant my Awoken Sakuya team could easily stall for actives with the recovery badge in order to have everything ready in time for the final boss. Heart cross/tank teams may feel more safe due to the inherit durability, but it can be cumbersome to deal with the resolve and I actually took less time with my gravity team. Do not fuse away your Light Snowglobe as you may lose out on your chance to earn an additional 3 if you are able to successfully clear Ana Descended with one on your team. I used both the heart-cross and gravity team and were equally effective. What did you use to overcome this challenge? Valentine’s Day is a time for love, kindness, affection, chocolate, flowers, etc. However, I want to take a step back from all the conventional societal standards and focus on something we all love and care for: Puzzle and Dragons as the only GF we need is 4x GFE ;). Everyone has a certain monster that they cannot live without; whether it be your starting roll, wonderful waifu, or hunky husbano, there is something enchanting about our favourite monster. Our love may be strongly tied to their art work as it is one of the strongest connections to our monster box. Unlike other video games, our monsters do not move or talk, but we still cherish them just the same.